In the 3rd and final instalment of the introduction to this Wealth Creation for Generation X blog, we’ll delve into the importance of you having a game plan. Unfortunately, most people (from a financial perspective) drift through life and from time to time have their head in the sand. They say to themselves “We’ll be alright…let’s focus on building wealth next year. We’re too busy to think about it right now”. But next year they tell themselves the same story, and nothing changes. This is the main reason, I believe, that 87% of current retirees are either fully or partially dependent upon the government Age Pension to help fund their cost of living. For any Generation Xer’s who have this mentality, I’m sorry to say, but I truly believe there will not be an age pension by the time most of Gen X reach retirement age. Or if there is, only those who really need it and have very few assets will be eligible. Regardless – with the maximum Age Pension being around $35,000 total for a couple and around $23,000 for singles – I’m sure you’d be envisioning a far better lifestyle than this for life after work. There has never been a more important time to be building towards your own Financial Freedom than right now. But this won’t happen through positive thinking…you need to work at it…and it’s important to have a Game Plan. Imagine if a professional sports team ran out on the field on Grand Final day without a game plan. No strategy. No structure. They would have been smashed. Unfortunately, most people live their lives this way. Of course, in developing a wealth creation strategy, it’s important to recognise that life is not just about financial decisions…it’s also about lifestyle decisions (amongst other things) – including regular family holidays to recharge and bond. Your wealth creation strategy should have the flexibility to help you enjoy now…as well as plan for later. At The Practice we are big believers in having structure in developing holistic wealth creation strategies for our clients. The structure that we use is what we call The 3 Pillars of Cash Flow. Develop strategies around how to best create and use cash flow to cover your current lifestyle. While also creating and using cash flow to manage and pay down your mortgage (or other debts) in tandem with building assets to cover your future lifestyle. Whilst we are not big believers in whole concept of retirement (by all means keep doing what you love to do forever for the purpose, contribution & social interaction) wouldn’t it be great to get to a point where you don’t “have” to work for the money any more?…Work purely because you want to. The Freedom “pillar” is about building enough investment assets to cover your future “retirement” lifestyle and have complete choice whether you work or not. Unless you already have enough assets to cover your cost of living then I would argue that Pillar 3 is in fact the most important part of your overall financial strategy…at least for right now. Your greatest asset is not your house or your super balance. Your greatest asset is your ability to generate income. It’s crucial to have a strategy around how to best protect your earning capacity as this is required to fund the other two “Pillars”. If you don’t yet have a Game Plan to create Financial Freedom for yourself, resolve to get moving and begin creating the future lifestyle that you deserve. In coming blogs we’ll dive into a lot more detail in each of the above 3 Pillars of Cash Flow and provide you with valuable and tangible ideas to help you Fuel your Family’s Future. 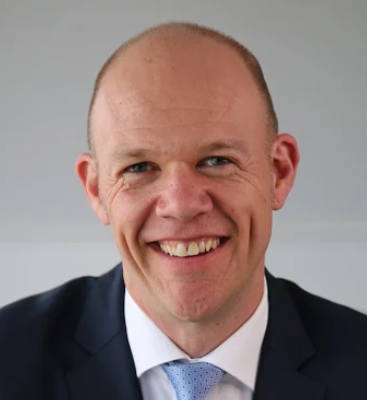 Matthew Morrison is the Director of Wealth Advisory at The Practice, a Personal Wealth & Business Advisory firm based in Parkville, Melbourne. Matt along with The Practice team are committed to and passionate about developing and implementing financial strategies to enable clients to Fuel their Family’s Future.